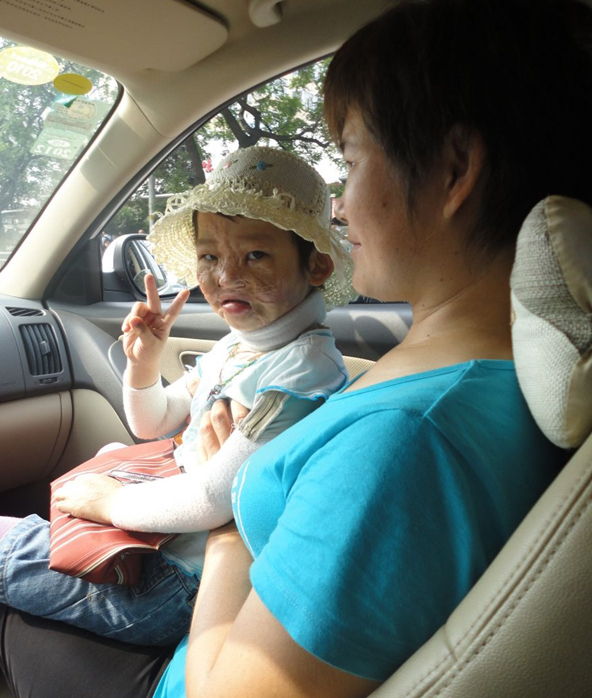 Flying into Boston today from Beijing, a child burned by scalding noodle water at 1-year will receive reconstructive surgery on her burn wounds at Shriner's Hospital in Boston. This is Haodi's third trip to Boston in 5 years. Welcome Haodi and a big thank you to Shriner's for their continued aid to this young girl! Read more about Haodi's trip to Boston and view a "photo diary" sharing her journey of recovery thus far at Hope's Purpose, Children's Hope Humanitarian Blog.